Datla Laboratories is a professionally managed organisation engaged in marketing of Pharmaceutical Products since 2006. We are operating on all India basis covering all major states of India. Datla is backed by sound management with highly qualified and experienced persons to assure smooth flow of operations. Effective systems are in place to ensure immediate sales order processing, material planning and inventory management. These systems enable us to meet our promise of same day dispatch to our customers without shortage of materials for orders placed. Datla Laboratories is the fastest growing pharma company in the region. 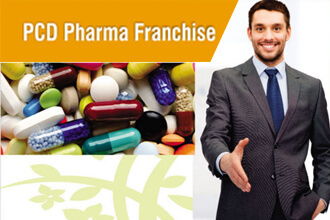 We provide best Pharma franchise opportunity to our customers. We have wide range of Tablets, Softgel Capsules, Capsules, Injectables, Syrups, Dry Syrups, Topical Gels, Creams, Oils, Lotions, Drops, Sachet. Our dedicated customer support team takes care of all your issues. All promotional material like Visual Aid, Prescription Pads, LBL, Reminder Cards, Pen, Keychain, Gifts etc. are provided Free of Cost. 1. practice honesty, dignity, righteousness & equity in business relationship. 2. Foster mutually beneficial relations with all our business partners. 4. Ensure profitable & constant growth. Our mission is to be a successful business unit without compromising on quality and ethics. Strive for a happier & healthier society by providing quality medicines at affordable prices. Our vision is to be among the most admired pharmaceutical companies in PCD segment in India by the turn of the decade. Consistency in quality and reliability is our strength. Our customers can feel absolutely certain about our product's quality. We are privileged to have been the physicians' and chemist's trusted aide for over 10 years. Because of our strong commitment, sheer hard work, product quality and high ethical standards we are able to achieve the goals and still working to achieve more.